it puts excessive pressure on you due to the limited time of your rent. To this post I have gathered all the essential information you need to record high quality vocals at home. There are basically three factors you should be aware of when recording your vocals at home (or any other place that is not designed for recording). These factors are recording environment, recording gear and recording technique. If I would have to point out the most important thing to be aware of while recording, it’s the recording environment. Room echo is a problem many beginners face, and it can be a real pain since it’s practically impossible to fix post-recording. Room echo can make your voice very muddy, and will reduce the clarity of your vocal track immensely. Let’s discuss some tactics you can use to reduce the echo of your recordings. A word about acoustic treatment: To reduce echo, acoustic treatment is one of the best solutions out there, but since it’s a pretty vast topic (a topic that I am very passionate about) and comes with a cost (money, space and time) I will talk about it on another post. In this post I am focused more on the basic household items you can utilize to max out your recording quality. So basically, almost anything that isn’t a solid hard even surface. This is an oversimplification but well keep it simple since I don’t want to overwhelm you with specifics. There are other factors too (the build of your walls, the design of the furnitures, room modes etc.) so it’s way easier to find the optimal place to record with a simple clap test. Below is an example of a clap in a dampened room and untreated echoey room. The difference is very clear: there is very little echo in the dampened room in contrast to the untreated room where you are able to hear the echo tail very clearly. If I’d ask you which environment you’d prefer to record, I am guessing almost everyone would go for the first one. You can try this yourself. Go around your house and test out the echo of different rooms. Focus and listen to the tail of the echo and try to find the room with least echo. As we discussed earlier, rooms with lots of heavy furnitures and fabric are good places to start. I would also try a walk-in closet filled with clothes if you have one. If you have spare carpets lying around, try to use them to cover up some reflecting surfaces you may have. There are two types of background noises: static and dynamic. Static noise stays constant through the recording and is easier to fix (or at least make better) in production phase. Some example sources of static noise could be computer fans or air conditioning. While it is easier to fix, you should try to reduce static noise as much as you can, since cutting specific frequencies can reduce your vocal track quality a lot. Dynamic noise is anything that is not static, for example passing cars or dogs barking outside. These are really difficult to fix, and should be avoided. There are some simple guidelines to tackle unwanted background noises but we will come back to them later on. One type of dynamic background noise is very common in amateur vocal recordings; the background track. Too often amateur artist listen to the background track with leaking headphones/earplugs during the recording. This will result in vocal track where you can hear the background track behind the vocals. Most people would consider this as non-issue, since the background noise will be masked after mixing the vocals with the track. But consider this: if you notice a spot where your vocal timing is off, it is really hard to realign the vocal track since you will also realing the leaked background track noise. If you are having issues with leaked background track try to lower the volume on your headphones. Alternatively you can use more closed design headphones or earplugs. Recording on a smartphone seems to be getting popular by the year. Five years ago I wouldn’t have given smartphone microphones even an chance, but modern smartphones tend to have at least decent microphones with frequency ranges of 50 – 15 000 Hz, which is more than enough range for vocals. However, I would be lying if I told you that smartphones are just as good as proper cardioid microphones; they are not. Smartphones have limited mounting options, which means that you’ll have to hold the phone in your hand while recording. Changes between the distance of the mic and your mouth will lead to uneven recording volume. Placing the phone on a table while recording is not advised since any small vibration on the table will be heard in the recording. Smartphone microphones are omnidirectional which means that it will record sound from every direction equally (increasing the risk for unwanted background noises). Lastly, placing any pop filter between your smartphone and mouth can be a challenge. This may sound like I’m fully discarding the smartphone as a recording option, but I am not. The problems listed above can be fixed in the production stage fairly easily (except for the table vibrations). After all, your absolute worst enemy is the room echo. If you have tackled that, smartphone may very well be enough for your recording. A good microphone will not help you with acoustical problems. If you have some money to invest in your musical career, a proper microphone is not the worst place to start (assuming that you have at least decent place to record). 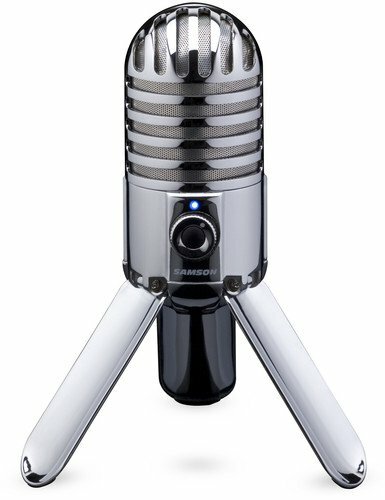 I have listed the most popular budget microphones below to get you started. All these three microphones are USB microphones. You can basically just plug them into your computer and you are good to go. All of these microphones come with their own stands to place them on a table. However, mounting options for Blue Snowball and Samson Meteor seem to be quite limited due to their design. They are good microphones for beginners, but as soon as you are starting to get serious about music they can get outdated quite easily. Both of these microphones are connected via XLR-cable. That means you need an external audio interface to connect the microphones in. 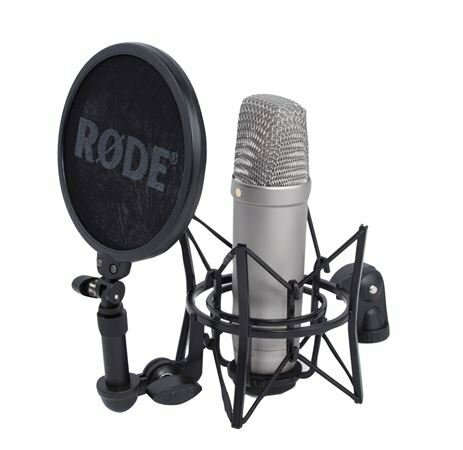 Rode NT1A seems to come in bundle packages that have at least a shock mount and a pop filter included. 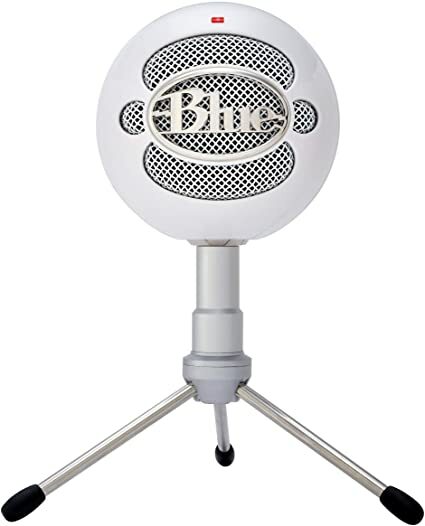 Shure on the other hand doesn’t include a stand but seems to have built-in pop filter. Quality microphone is a good investment for a vocal musician. They usually have decent warranty and last for years. But as we discussed earlier, even the best microphone in the world doesn’t solve your acoustical problems and room echo. 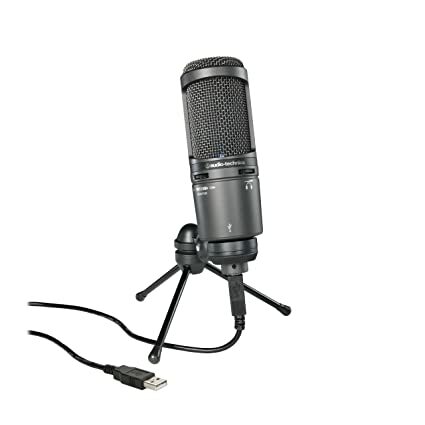 With that said, I would think twice about buying an expensive microphone if you don’t have a proper place to record in. The last factor we are going to talk about is recording technique. There are several basic guidelines that will boost your vocal track quality immensely if followed. These guidelines are really basic and maybe even obvious to you, but for some reason I too often see these things ignored when collaborating with vocal artists. Really obvious guideline and easy to follow. Cardioid microphones are best to pick up sources that are in front of them. So make sure the microphone is facing you when you record and try to keep it facing you during the whole take. Too flat vocals can sound dull and boring after a while, but too much dynamic range can lead to problems too. These problems can be fixed in production stage, but too extreme problems are going to require extreme fixes (which is always bad). Try to keep the distance between your mouth and microphone somewhat fixed. Most of the time this is enough for clean vocal track. For some reason this seems to be the guideline most often ignored. Remember when we talked about dynamic unwanted background noises (dog barking etc.)? Well, this is the way to fix those problems. After you have recorded the vocals, listen to them carefully and decide if they are good enough. If you can hear dogs barking during your verse, record that verse again and pray the dogs will stay quiet this time. I have stumbled across some vocal tracks where it sounds like the rapper is really out of breath at the end of the track. I see no reason not to record the end part again. Yes, you will end up with multiple vocal tracks, but it’s not that hard for a producer to align these tracks in the production stage. Here is a quick summary of the topics discussed in this post. If there is one thing to underline with recording, it’s the acoustical treatment of your environment. I can’t stress that enough. You can even use carpets or other heavy fabrics to reduce the room echo. Be aware of potential background noise. Hearing your background track leaking through your vocal recording can lead to major problems. Smartphones are ok, but since they have omnidirectional microphones (record evenly from all directions) it is crucial that you have solved the problems you may have with your acoustics. Good microphone doesn’t solve issues with room echo, but generally will result in more quality vocal tracks. A good microphone is also a good investment for a vocal artist. Try to keep your distance from the microphone somewhat fixed. If the recording has anything unwanted, record again. Yes, it requires extra effort but it’s always worth it. That’s all I have to say about how to record quality vocals at home little to no budget. I hope you were able to gather some useful information from this post. We talked a lot about room acoustics and we will continue on that topic next time. Consider subscribing to the email list to get notifications on new posts. And feel free to post questions and thoughts on the comment section below or via Twitter. Stay safe!